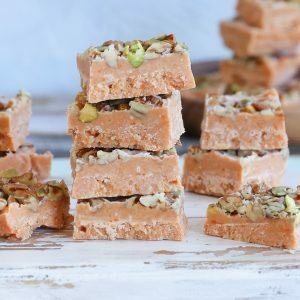 Easy sweet potato fudge made dairy-free and naturally sweetened. This paleo, vegan dessert recipe comes together quickly and only requires a few basic ingredients! Ohhhh the things we do to sweet potatoes on this blog. I guess if we’re putting sweet potatoes in brownies and enchiladas and nachos and such, it’s only natural it should end up in fudge at some point, right? Okay, honestly, I’m having a difficult time figuring out if this sweet potato fudge thing is straight-up eccentric, or if it’s basic AF. Hint: you should tell me it’s normal. You guys, these lumps of lovin’ are basically pure fat. We could call them fat bombs…or fat lumps…or fat nuggets…or…I’ll stop. If I felt like figuring out whether or not they’re technically keto, I would, but until then: FAT NUGGETS shall be the name. 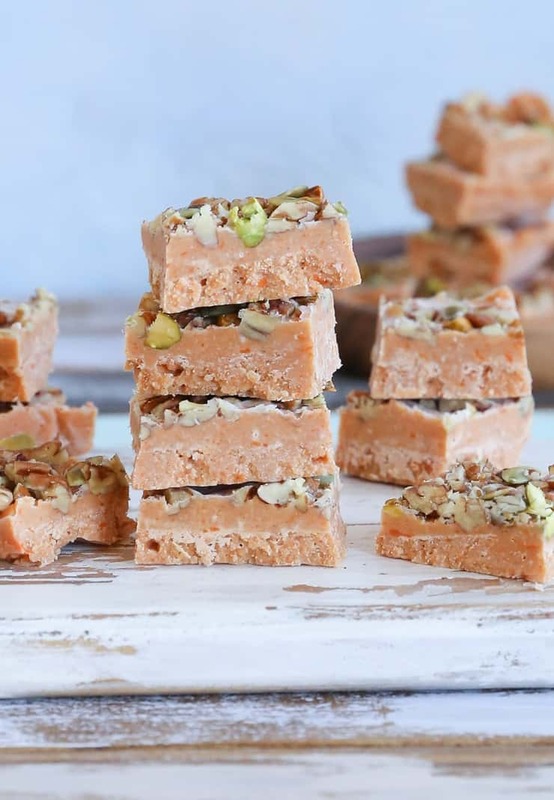 Made with mashed sweet potato, coconut butter, coconut oil, and just a touch of pure maple syrup, this vegan fudge is low-carb, easy to prepare (think: 5 to 10 minutes of actual prep), and pretty dynamite. Think: white chocolate with a sweet potato undertone. 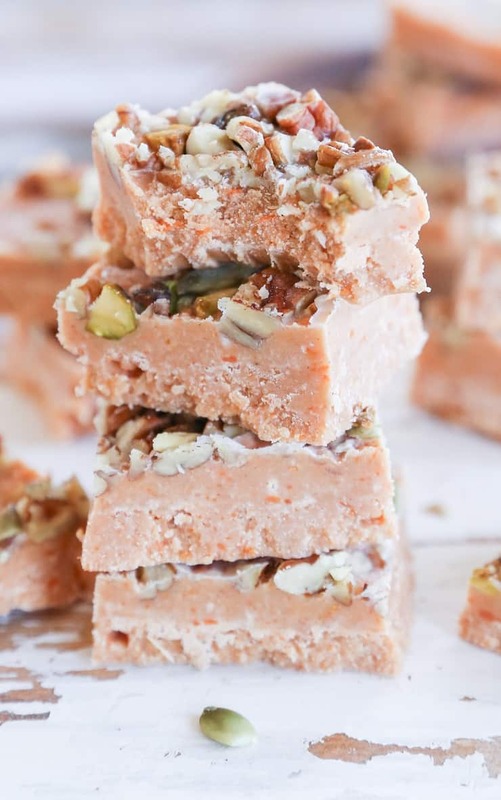 You can absolutely make this fudge using pumpkin instead of sweet potato. You can also add more pure maple syrup to give it more sweetness. I love the fudge with just 1 tablespoon of pure maple syrup because the sweet potato is already naturally sweet, you feel? The way I see it, this is a great low-sugar dessert that still has that mouth-watering, melty, decadent appeal. If you want to get wild and crazy here, you can zest and orange and give it a nice zesty orange essence. Fan of almond-flavored treats? Pure almond extract would be a lovely addition as well. Leave off the nutty/seedy topping and you have yourself an Autoimmune Protocol – AIP dessert! If you’re into nut butters, you can replace the coconut butter or the coconut oil with any nut butter of choice. I wanted the flavor to stay nice and creamy and subtle, so I didn’t go the nut butter route, but you do your thang, you rebel, you. What else do you need to know? I’m basically now obsessed with fudge. 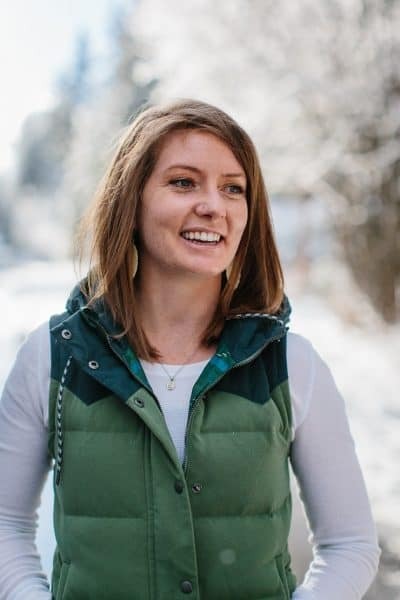 Hang onto your britches, because it’s going to be a fudgey holiday season. Okay, one more thing you need to know: I used a regular bread loaf pan for molding the fudge into a brick, which I then froze for a couple of hours. It’s wise to follow suit and freeze the fudge starting out, but you don’t have to store it in the freezer – you can store it in the refrigerator or even leave it out at room temp for hours and it will still be in a solid state. Add the ingredients for the fudge to a bowl and stir together until combined (Note: ingredients will come together easier if everything is warm or melted). Taste the mixture for flavor and add more pure maple syrup to taste. Line a loaf pan with parchment paper or foil. Pour the sweet potato fudge mixture into the lined loaf pan and spread into an even layer. Top with chopped pecans and pistachios. Freeze the fudge at least 2 hours, until set up. Remove from freezer and cut into squares. Store fudge in a sealed bag or container in the refrigerator or the freezer. Note: fudge can be stored at room temperature for hours at a time. This is amazing! I am making this for the party tomorrow! I LOVE these and have shared the recipe with many! I have also used other “sweet” squashes (Kochab, acorn..) I find that mashing the squashes with a potato masher and adding the spices to the mash helps incorporate them! I used more of the gut healing spices and added allspice, nutmeg etc. I also added cocoa powder one time I made it. I can’t have the syrup or much coconut so I subbed a dropper of stevia and sunflower seed butter or no butter. I used ghee oil and/or palm combo. It works! I have also added garbanzo beans to the mash for more protein. 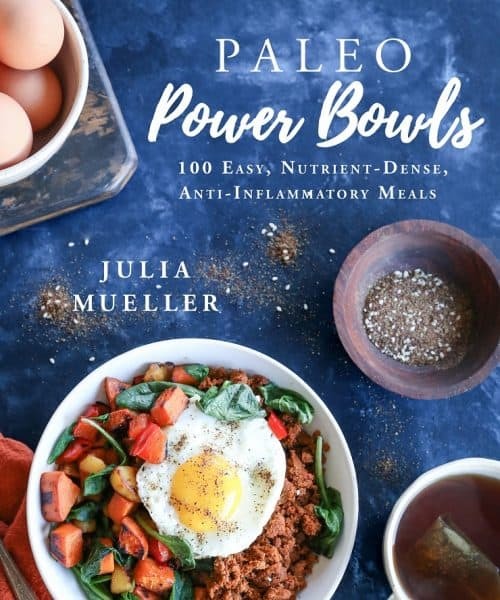 Thanks for this delish recipe, Julia! !